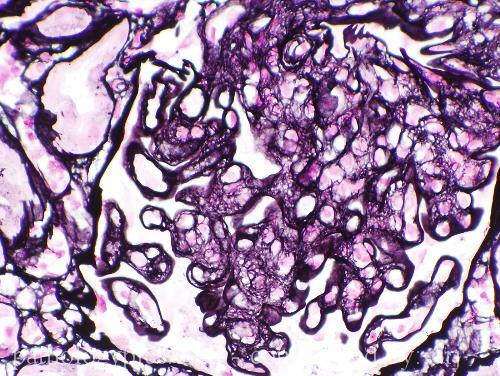 Additional Info: Chronic transplant glomerulopathy is characterized by capillary basement membrane double contours without immune complexes. In the non-transplant setting, the finding of double contours or "tram tracks" is seen in Membranoproliferative Glomerulonephropathy. If immune complexes are not associated with this finding, what is resposible for the douple contour appearence?